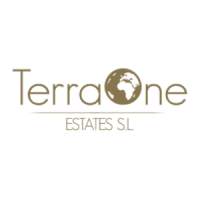 Company (Optional): TerraOne Estates S.L. Description: Exclusive private gated residence of five luxury detached villas. The villas have been designed by a prestigious architectural studio and are a stunning example of contemporary Mediterranean architecture creating an abundance of both light and space. Each of the four bedroom and four bathroom villas will have its own private plot with landscaped gardens, including a large designer swimming pool. The plot sizes vary from 933m² to 1006m². CLOSE TO THE BEACHES OF MORAIRA The residential complex is situated in a fantastic location only 1km from the coastline and beaches and less than 2km from the picturesque village and marina of Moraira at the Costa Blanca in Spain. EQUIPMENT The villas are featured with floor to ceiling windows and doors, which enhance the open plan design, and the highly energy efficient "altherma" underfloor heating (pre-installation) and hot and cold airconditioning system. Large exterior terracing for dining and relaxing and a covered and private two car parking area complete this offer. Description: This Mediterranean luxury villa is located close to the nature reserve on the slopes of Mount Montgo and built on a plot of 2.400m² which is exceptionally impressive landscaped garden. The villa is constructed over two floors on 372m². The main living level with its impressive entrance hall gives access to the living-/dining room from which you enter the roofed terrace with its marvellous sea views. Just next to it you will find the solarium by the heated pool which makes you enjoy the Mediterranean climate all year round. The spacious and functional kitchen offers views over the impressive garden with its view to Mount Montgo and to a wonderful relaxation zone with a gorgeous Bali pavilion which is encircled pine trees and other Mediterranean plants. The Seaview even from here is amazing. Here you will find total quietness and relaxation. The villa offers three spacious bedrooms, each with a dresser and built in wardrobes with mirrors and a bathroom en-suite. The lower level with its guest bedrooms has its own entrance. The wine cellar, the different terraces and the outside kitchen area with a BBQ allow you to enjoy this beautiful mansion with your friends and family. Besides the previously mentioned rooms you will also find an office, a diversity of storage rooms, utility room, plant room, guest toilet as well as a nice roof terrace which you reach over an outside staircase. Here you will find another storage room for all your outside tools and equipment. SPAIN COSTA BLANCA DÉNIA EXCLUSIVE VILLA This exclusive Villa located on the outskirts of Dénia towards Jávea, this house is built high up above the road and features a marvellous view over the Mediterranean Sea by the Costa Blanca in Spain. EQUIPMENT 4 double bedrooms of which 3 with bathroom en-suite. Livingroom, dining room, seperate fully equipped kitchen with utility room, storage rooms, guest toilet, roofed terrace, solarium with heated pool and electrical cover, entrance hall with staircase and very decorative columns, central heating, A/C, alarm system, security doors, electric shutters, white PVC-windows with round arches and thermo acoustic glazing, satellite dish, BBQ, Bali pavillion, double carport with electric gates, gate with camera surveillance and many more extras. Description: The villa itself is being constructed over three levels and includes: Lower level 278m²: indoor swimming pool, sauna, shower room,cloakroom, gymnasium, home cinema/games room, two double en-suite bedrooms and a private maids apartment that includes a bedroom, bathroom,kitchen and secluded terrace. Three car basement car parking area, utilities room and elevator connecting to all levels. From the gymnasium, indoor pool and guest bedrooms there will be floor to ceiling windows with views towards the coastline and the bay of Granadella. Ground floor 201m² plus extensive terracing: The main entertaining level that is open plan with fully fitted kitchen, utility room, cloakroom, dining area and lounge area. The floor to ceiling windows will run the full length of the villa offering spectacular views of the Mediterranean Sea and lead onto the 88m² (23m long) infinity swimming pool with beach effect, porch, extensive terracing, summer kitchen, outdoor dining and chill-out area. The large expanse of glazing creates a very open feel, integrating the villa with the views and landscaping. First floor 176m²: Principal bedroom plus two guest bedrooms all with en-suite facilities, each bedroom will have floor to ceiling windows and terracing to help maximize the breathtaking views. LOCATION The villa is situated in an amazing front-line, elevated location and will offer breathtaking views from both the front of the villa towards the Mediterranean Sea and from the back aspect towards the bay of the Granadella where the Costa Blanca coastline meets the crystal blue waters. EQUIPMENT Built area: 656m² The private front-line 2060m² plot is high above sea level. Will include terraced landscape gardens, large infinity swimming pool with semi submerged dining area and spacious exterior relaxing and dining areas. OTHER INFORMATION The Villa is an exceptional example of contemporary Spanish architecture designed by the the prestigious Ramon Esteve Desing Studio and will use only the best quality material and workmanship.